The other day I talked about how using Air BnB instead of a hotel if you are going to Steemfest, can save you a ton of money. It was pointed out to me in the comment section that hostels are also a good and cheap alternative. 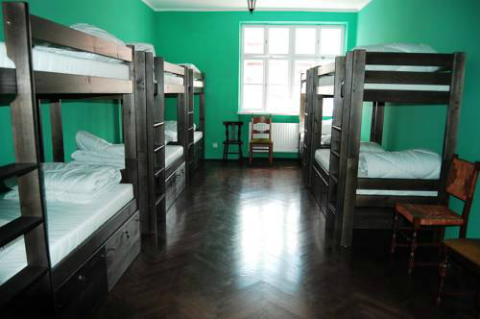 So I thought I'd do a bit of research and report on the best value hostels to stay in Krakow. So without further ado, let's get straight into it! Summary: I love the name of this place and the pictures look really good. In fact there is a chance I might have chosen this place if I hadn't gone the Air BnB route. Clean bathroom and kitchen areas. I couldn't find many negatives, one person claimed the WiFi wasn't stable, however others claimed it was very good. One person said that their room (for 8 people) was not cleaned once during their 3 day stay. However he still gave it a 10/10 on Booking.com, so go figure! Location: Many people are happy with the location, it says it is very close to the centre. According to Google it is 3.9 km, around a 15 minute walk from Kazimierz where Steemfest is being held. 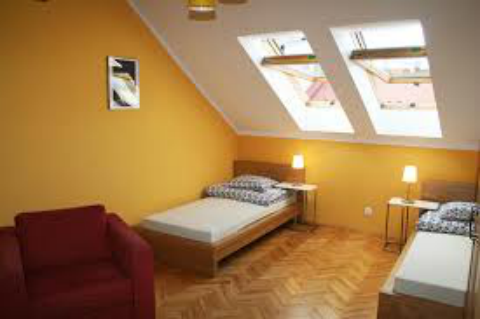 Cost: They advertise rooms from about £12 (€13.40 or $15.77) per night. Though I've seen rooms there for about twice that, so check availability before budgeting. I loved the name of this place and thought that it sounded great. However will it live up to its name? Well according to this review by Firas E, which was my favourite one, the answer is a resounding yes! Great hostel to meet people and party. Nice common area with relaxed atmosphere. Bar in the common area with cheap beer. We had rented a 2 beds room but it wasn't available so they accomodated [sic.] us with an 8 beds room just for us. Rooms are spacious enough. Reviews: There are 232 Google reviews with an average of 4.6. with an overwhelming 78% giving it 5 out of 5 stars. I couldn't find many negatives seeing as most people gave it 4 or 5 stars. However it does seem to live up to its name. The entrance is right next to a happening nightclub so if peace and quiet is your thing, this is definitely not the place for you. According to Google it is 4.3 km about a 10-12 minute walk from Kazimierz where Steemfest is being held. 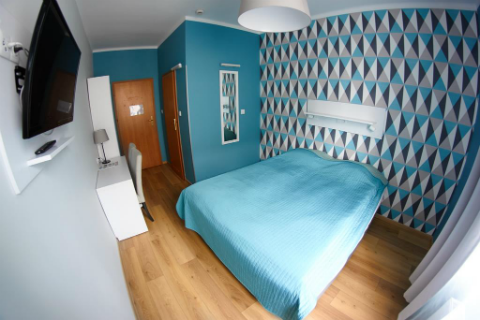 Cost: Rooms start from £17 (€19, $22) per night. Summary: I find it funny that they would use the word 'premium' for a 2 star hostel. However the 392 reviews with 60% 5 star and 28% 4 star tell me that most people really enjoyed their stay here. One negative that came up a few times was the noise from the trams can be a bit much. However it seems that this depends on what room you get. Location: According to Google, this is 4.5 km from Kazimierz where Steemfest is being held. It can definitely be cheaper staying in hostels as opposed to the Air BnB route. However you could easily end up paying the same or similar if the cheaper rooms aren't available. Something to keep in mind when looking for hostels if you don't choose one of the three above. Is that a lot of the ones that I browsed on Google and Tripadvisor seem to be party hostels. 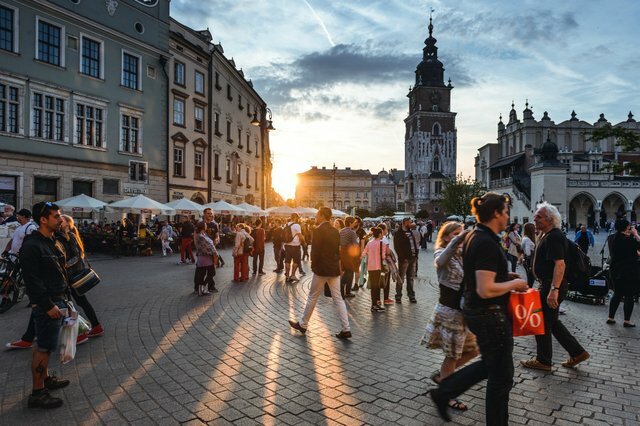 That might have died down by the winter time, as Krakow seems to be a popular summer destination. However I would check and double-check before booking if this is something that might bother you. As the party hostels tend to be a lot nosier than the regular ones. Where ever you stay, I hope to see you there! Bon Voyage!! If you haven't signed up for Air BnB yet, and you're interested in using it to stay for Steemfest. Then click on this link (Air BnB Cryptogee Discount Link) to get £25 (€28) off your booking. ARE YOU GOING TO STEEMFEST? HAVE YOU BOOKED YOUR FLIGHTS AND ACCOMMODATION? WOULD YOU LIKE ME TO DO MORE OF THESE BREAKDOWNS? AS EVER, LET ME KNOW BELOW! Disclaimer: I am in no way affiliated with any of the hostels featured in this article and am not gaining financially or otherwise by featuring them. All information is accurate to the best of my knowledge and has been researched in good faith. Speaking of saving money, what do you think of Poland's decision to outsource the printing of its paper currency to a factory in Beijing? Can this possibly make sense? Hi sorry I didn't see this comment at the time! That is crazy news! On first reflection it seems crazy, but I'll have to look into this one. Perhaps paper is becoming an expensive commodity, seeing as in some sectors we are becoming a paperless society. Still though, sounds mad! Thanks for this info! Will check this out as me and the others from Team Malaysia are looking at AirBnb now. Cool! For me Air BnB is the best, because it's cheap and you feel like you're staying in luxury! However sometimes people want to save even more which is why I did this post. Thanks again! And see you soon in Krakow! Unfortunately, i can't go to this steemfest but I will join you guys in the next year. Thank you for this wonderful info, I am resteeming this post so that people in my list who are going to steemfest will read it and take benefits from it. Awesome, thanks for the resteem! Hopefully it will help some people, and hopefully by this time next year you'll have enough Steem in your account to pay for the trip! Wow es fascinante como muchas personas están planeando su viaje y estadía para el gran Steem Fest, yo planeo desde ya asistir al del próximo año, o al próximo que se dé, necesito juntar mucho, mucho, dinero, pero poco a poco. Wow is fascinating how many people are planning their trip and stay for the great Steem Fest, I plan from now on to attend the next year, or the next one that is given, I need to gather a lot, a lot, money, but little by little. Unable to join the steemfest. You have shared very useful info ...it can save lots of money those are going to attend steemfest. Looking forward to meeting you there at Steemfest this year. Its gonna be fun. I already got my hotel and everything booked, but this is great info for those that are trying to get their's booked still.